Life doesn’t have to be "normal." It’s taken me a while to think about how to write this. I started off making jokes all through the draft and then stripped them out again. It’s more serious than that direction would have indicated and is in danger of waffling on a bit. Who said that life has to consist of mum, dad, grandma, or any other combination of perfect parenting in the “normal” sense of the word? These days, even single parent families and kids living with grandparents are considered absolutely normal and acceptable by all walks of life. ” Doesn’t have a dad,” my eldest says in a completely matter of fact way when he’s talking about one of his friends. None of them think that is in any way out of the ordinary. Why do so many people find it so difficult to accept adopted children? People make comments in passing like “I don’t know how you can take other people’s children into your home,” or put you on a pedestal as some unwinged angel for doing such an obviously horrific thing to contemplate. On one hand, there seems to be the extremely pro inclusive groups who think that never a bad word should be said about adopting, the lifestyle, or the children themselves. Our kids can’t afford that militant stance with fairy lights and lava lamp ideals. It gets them no help with life and assumes that all adopted children should be treated exactly the same as birth children. They can’t, and neither can many of those living with grandparents, aunties, step parents and more. They could have attachment and familial needs that require help to live positively and accept their perfectly normal differences. On the other side of the fence, we have the sceptics. They are negative to adopted kids. They use their position of power in life over the kids and the families by assuming that adopted kids all have a chip on their shoulder. I recently heard about an adoptive child (not mine) who was upset over a teacher who allegedly said they were fed up with his excuses about fighting with other children after being called names, and that he was using adoption as an excuse for behaving badly. I don’t know if he was using it as an excuse or not, but bringing that up is only likely to make the child even more sensitive to it, not less. I am hoping that was just a child exaggerating as I’d hate to think that anyone in education actually came out and said that. In the middle we have the realistics. People who realise that “different” families often have huge issues to overcome. Issues that few birth children in dual parent homes have experienced. With adopted or placed children, many have not had the same level of nurture as babies and that affects their relationships as they grow. 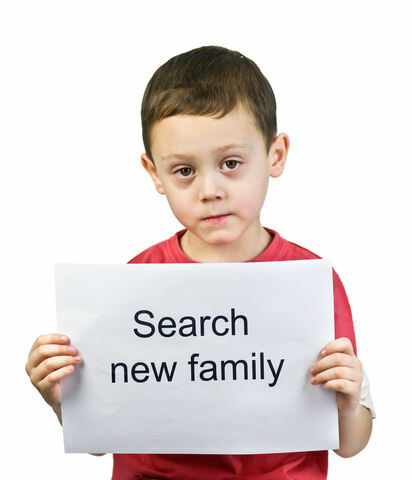 Some adoptive families settle in instantly together and it may be a decade down the line before the big issues rear their head, but they usually come out somewhere along the line. Similar issues come to front with any other family that isn’t part of the “normal” group. I have no idea why children from care, fostering and adoption are often looked upon so negatively by their peers and educators. One of mine who is diagnosed with foetal alcohol syndrome and has a forgetful memory constantly battles with education authorities who insist that he doesn’t have a disability or learning difficulty, yet he is so far behind with schooling that I worry about his future as an unprotected adult whose expressive ability belies his receptive understanding. A little while ago, I was in a discussion on Twitter that didn’t go well. My opinion is that not everyone can adopt every child and that it takes a specific skill set to adopt the children who are severely affected by drugs and alcohol in the womb. I don’t think I have all the right skills to cope with it either, and I admit that there are times while my boys have been growing up that I have struggled massively. I’m not ashamed of that as without expressing it, I would have bottled it up and the kids might have suffered. I don’t think it’s awful or terrible to admit that – it’s being realistic. We don’t have the benefit of nurturing a baby for 9 months in our bellies and learning to love it before it arrives. Our kids arrive with no planning, often no childcare experience and it takes time to bond. The younger the child, the easier it is to bond and there are so many kids out there looking for homes. Parents by other means do often end up with a form of post natal depression, just like any other birth mum or dad can. People who say, “you wanted this, so why are you complaining” just don’t get that we are often asking for help and advice, and not always moaning. Birth parents can ask the questions when they are unsure and nobody sees it as moaning so I’d like to see the same courtesy extended to parents by other means. My biggest bug bear are the parents who jump in with how they wouldn’t put up with “whatever behaviour” we ask for help from. As soon as that sentence is uttered or written, I know how little they understand and how under qualified they are to respond at all. One tweeter once said that she’s not a real parent as she’s a step-mum, which I found sad but indicative of how other people probably address her concerns. It doesn’t matter how you come to parenting, it’s still a long road to walk alone. Lets all walk it together, not divided and pick up the kids with no families to join our own where we can. We’re different in that my kids have a shed load of siblings that are adopted out elsewhere, but that now just adds to the fun of the family life. They’ve recently met some new older siblings and are having a fabulous time getting to know them. I wouldn’t miss this for the world as it’s just magical. Can we embrace the different but great families around us all and forget the differences to acknowledge that it’s ok not to be normal? Good article! My family is not “normal” too, I have blended family. When my partner and I would introduce our kids, we simply say they are “our children”. But other people would label our kids as “step children” of so and so. More often these labels are not healthy for the kids’ well-being. It’s when people do the “but they’re not really your children,” that really surprises me. I know they mean not birth parents, but I wish they’d say it like that. Great post, normal is a funny thing, I’m not sure I could define it at all. I love your real and honest approach to raising a family with so many hurdles to overcome. They are so lucky to have you. Just spotted this, thank you. Mind you, I’ve said before, I don’t fancy your laundry pile…. Fantastic post. I have one son who has no contact with his father, and also a son with my partner. My partner has raised my older son for more than half his life. He also has a daughter from a past relationship, who in turn has three half siblings of her own (one whom like my older son does not have contact with his biological father). I refer to us as a patchwork family, all the more beautiful for our different origins. @Scottish_Mum Really like your post. Very well said. As an adoptive mom I think your comments are spot on. Would like to add that from my experience some adopters want to be parents so badly that they seem to find it hard to acknowledge the adoption themselves and are sending potentially negative messages to their family, friends and wider circles. There really is no “normal” with kids or parenting nowadays….which I think is a good thing. Thanks for your comment Emma. I wonder how much different things are in the US? Is that where you’re from? It sounds like it’s similar where you are. Hi there – no, though my husband is and I lived there for a long time. We live and adopted in the UK. It is very different over there in the way you adopt but a lot of the learning about what it means to be adopted is from the states, especially around attachment. In the states it is easier it seems to adopt a baby and a lot of private adoption goes on with very little training. Would definitely like to see earlier adoptions here but have to say the training we received was invaluable. I think the US is way ahead of us in a lot of things around adoption and childhood mental health issues too. @Scottish_Mum Brilliant post, thanks for sharing. I hear you and agree. I’m a step mum and have 2 with my ex. Recently it’s been hugely challenging. My girls have been through the mill facing challenges that some of us never have to deal with in a lifetime. This impacts their behaviour negatively and has shaken my confidence as a mother especially as it would appear the step children never argue and squabble the way my 2 do!